Posted bybehindthesavor	 March 8, 2015 March 8, 2015 Leave a comment on Update Time! Hello Behind the Savor friends. I’m sorry that I have been absent from the blogosphere for some time. Turns out, working full-time, going to classes for my alternative certification for teaching, being in a ton of weddings (it’s my age bracket apparently), and generally just trying to have a life make working on a graduate capstone project very difficult. I know this is not supposed to be easy and I know maintaining a blog takes a decent amount of effort, so I am now ready to do whatever I can to make Behind the Savor terrific! I was happy it was pretty outside and that I had good food in my belly! 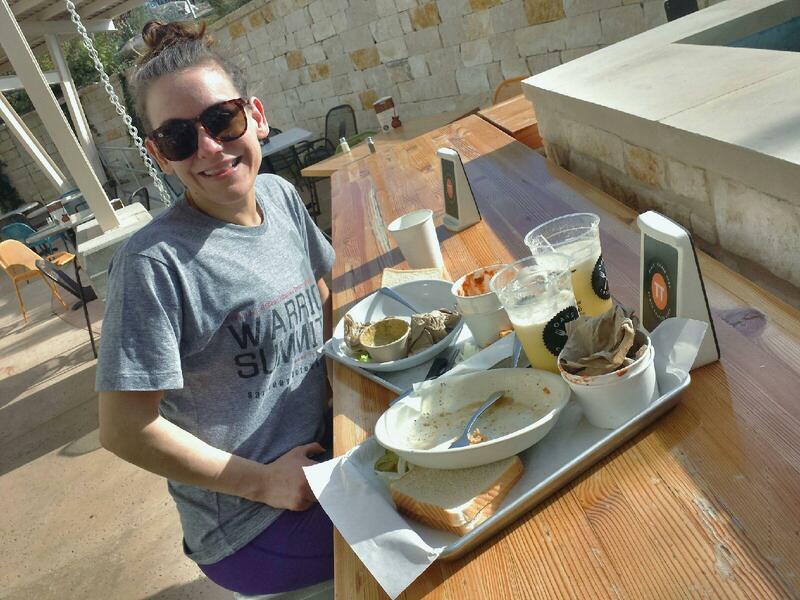 Over the last few months I have been busy doing some other important business, but I also was working on research for my capstone project, eating at some cool, fun, interesting restaurants, and getting some great interviews from around San Antonio. 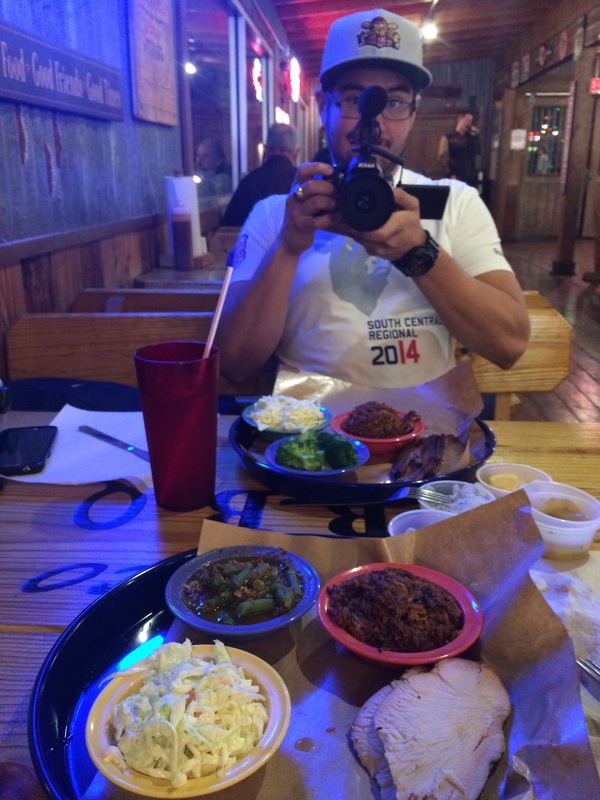 Zach (my partner in crime, boyfriend, and the guy filming everything) and I have filmed at Blanco BBQ and OrderUp and gotten some great interviews. We hope to have those videos up for you sometime shortly. I also hope to get a few more restaurant film sessions sometime soon. I need to have a Tex-Mex restaurant in the mix, because what would San Antonio be without Tex-Mex food? The answer is…boring!! And maybe a restaurant at the Pearl or Southtown area because, in general, those areas are hip and new to San Antonio and bring a different feel to our city, which is great for the growth of good ol’ SA. I’ve already learned even more about communication than I thought I would from this project. Talking to owners of local restaurants is interesting because they are not all the same. Some restaurants have media or PR representative who speak to me regarding setting up interviews. Some restaurants leave it to the general manager, and some I was able to immediately contact the owner and tell them about the project. There have been a few setbacks. We filmed at Luminaria downtown, but it didn’t turn out like we wanted. For now, those interviews are on the back burner as far as a posted video goes, mostly due to the abundance of noise and huge crowds of people. We wanted to film at a local farmers market, but it’s been pretty ugly weather outside every time we have planned to do so – I’m hoping the weather becomes more like San Antonio sometime soon! Talking to people at the restaurants has been fun and sometimes a bit nerve racking. You never know what someone is going to say or how they are going to say it. You also cannot always tell who would be interested in being interviewed in the first place – I have been turned down a decent amount, but the people who do say yes have had some killer answers to my questions and really care about my project, which is what matters. So, I’m back in the game people. I hope you enjoy what is coming and what we learn together about food and culture in San Antonio. Have an awesome week! Follow Behind the Savor on Facebook, Twitter, YouTube, and Instagram to keep updated on the interesting people we meet while enjoying some tasty food!